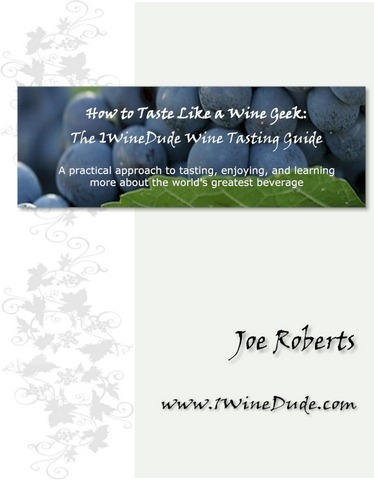 Become Your Own Personal Wine Guru! Dude is here to help! 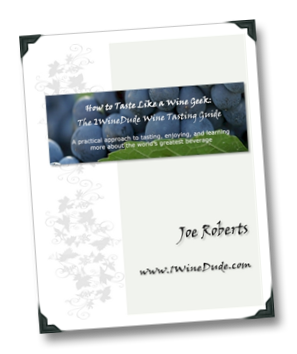 My Wine Tasting Guide, How to Taste Like a Wine Geek: The 1WineDude Wine Tasting Guide is specifically designed to help you get the most out of tasting wine that you love. Buy the eBook version (PayPal & other formats accepted) for only $7.95 USD. The eBook is available for $7.95 USD. It’s in PDF format for portability (if you need a PDF reader, you can get one for free for both PCs and PDAs from Adobe, and other software providers). Buy the eBook version at LuLu.com (Visa, MasterCard, Discover, American Express) – $7.95 USD. Grab the Kindle Edition of the guide directly from Amazon.com for $7.95 USD! Go Get It!